Revised + Updated for 2018 – This unique book explores an overlooked but pivotal truth: Divorce is a financial planning issue. All too often, people willingly enter into marriage without even discussing our investments, obligations, income, budget, or the impact a divorce might have on our financial futures. Why would we taint our special day by talking about money when there are caterers to hire and dicey family dynamics to manage? Both men and women think marriage is supposed to be about trust, love, and romance. And it is. But we are ignoring and important reality. The current divorce rate is about fifty percent. 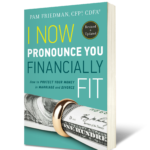 In I Now Pronounce You Financially Fit, Pam Friedman talks about this financial elephant in the room. 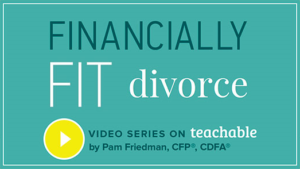 In marriage, as Friedman explains, it is never too late to protect our money from the financial devastation of divorce. And if divorce is unavoidable, her advice can help us through that too. Pam offers a one-hour Lunch and Learn on “Financial Ideas for Family Law Professionals”. This is a great opportunity to ask specific questions and learn more about how financial ideas can help you and your clients. Contact us today at (512) 774-5340 to schedule your appointment. 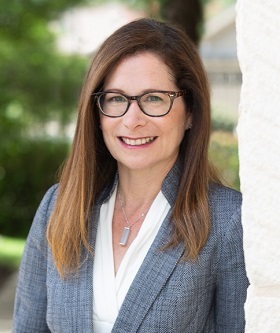 Pam Friedman uses her expertise and knowledge to help clients with their financial and investment planning, particularly with respect to the complexities of dividing assets in divorce.